Did you know that our sense of smell is the only sense directly tied to the limbic area of the brain, which is considered the emotional control center? This means that when essential oils are inhaled, they go directly to the brain. Our other four senses — taste, sight, touch and hearing — are first routed through the thalamus before reaching designated areas of the brain. Because the limbic system is directly connected to the parts of the brain that control heart rate, blood pressure, breathing, memory, stress levels, and hormone balance, therapeutic-grade essential oils can have unbelievable physiological and psychological effects. Each of the essential oils has therapeutic stimulating, calming, sedative, balancing properties. When we inhale an essential oil molecule, it travels through the nasal passage to a receptor neuron that transports it up to the limbic brain, especially the hypothalamus. The limbic center in your brain is responsible for controlling all the physical, psychological, and emotional responses that your body performs based on stimulus coming from the outside. Thus, the ability of essential oils to target your limbic center, make them a powerful tool in treating many health ailments. When essential oils are inhaled through the nose, tiny nerves send an immediate signal to the brain and go straight to work on the systems that moderate our minds and bodies. Inhalation can be the most direct delivery method of these incredibly nurturing components in essential oils, since the chemical messengers in the nasal cavity have direct access to the brain. In studies performed at Vienna and Berlin Universities, researchers discovered that sesquiterpenes, a natural compound found in essential oils of Vetiver, Patchouli, Cedarwood, Sandalwood and Frankincense, can increase levels of oxygen in the brain by up to 28 percent (Nasel, 1992). Such an increase in brain oxygen may lead to a heightened level of activity in the hypothalamus and limbic systems of the brain, which can have dramatic effects on not only emotions but on learning, attitude, and many physical processes of the body such as: immune function, hormone balance, and energy levels. High levels of sesquiterpenes also occur in Melissa, Myrrh, Cedarwood, and Clove essential oils. In 1989, Dr. Joseph Ledoux , at New York Medical University, discovered that the amygdala plays a major role in storing and releasing emotional trauma. From the studies of Dr. Hirsch and Dr. Ledoux we can conclude that aromas may exert a profound effect in triggering a response. Essential oils can provide many benefits to the human body without side effects, whether it is through diffusing or simply inhaling the aroma straight from the bottle. Proper stimulation of the olfactory nerves may offer a powerful and entirely new form of therapy that could be used as an adjunct against many forms of illness. Therapeutic essential oils, through inhalation, may occupy a key position in this relatively unexplored frontier in medicine. 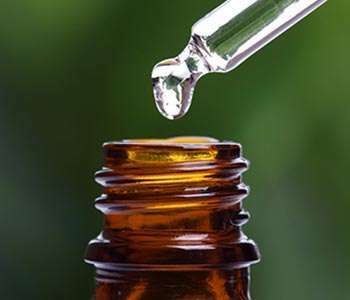 The ability of essential oils and its molecular properties to affect both physical and psychological functions in the body is one reason why it is currently being evaluated for brain injury treatments. The human brain is the most complex organ within the body. Injuries to the brain range from mild concussions to more serious head trauma. Usually, various brain injuries are slow to heal, but frankincense oil can aid greatly in this process. Frankincense works by aiding oxygenation of blood going to the brain. This, in turn, will aid in oxygen absorption. When oxygen is absorbed effectively, it allows the brain to process and retain information, heal, and function correctly. Frankincense is the Essential Oil of choice for any kind of brain disorder. Frankincense has a molecular makeup that includes sesquiterpenes, that is able to cross the blood/brain barrier. These sesquiterpenes stimulate the limbic system of the brain and other glands within the brain, promoting memory and releasing emotions. Frankincense slows down and deepens the breath. The therapeutic properties of Frankincense oil are antiseptic, astringent, carminative, cicatrisant, cytophylactic, digestive, diuretic, emmenagogue, expectorant, sedative, tonic, uterine, vulnerary and expectorant. Research from the universities of Berlin and Vienna found that sesquiterpenes increase oxygenation around the pineal and pituitary glands. This allows for ideal balance of emotion-regulating and memory-stimulating hormones. The bottom line is that essential oils can penetrate not only the blood-brain barrier, but they can also penetrate the skin, follow nerve pathways, follow the meridians, and provide healing and balance even at the cellular level such as cellular memory and DNA. -Relax the body, clear the mind, and relieve tension. -Reduce bacteria, mold, fungus, and odors. -Improve the secretion of antibodies that fight candida. -Improve concentration, mental clarity and alertness. -Stimulate growth hormone production and receptivity. The level of purity and therapeutic value of an oil is closely tied to its chemical constituents, which can be affected by such things as the soil from which the plant was grown, the soil condition, fertilizer (organic or chemical) climate, distillation process, etc. In aromatherapy, the quality of your oils is everything so to achieve healing benefits, it is important to use undiluted therapeutic grade essential oils. Look for the term “100% therapeutic grade essential oil” on labels. You need to understand that essential oils may be labeled as l00% organic essential oil, but this does not mean that they are pure. Therapeutic quality essential oils are laboratory tested and certified to be free from impurities. A therapeutic-grade essential oil is one that is both complete in its chemical constituents, giving it a rich, deep aroma, and is kinetically alive and able to raise the frequency of the human body, restoring balance and normal function to weak body systems. This is important, because the oil’s fragrance, frequency and chemistry all contribute to its unique therapeutic effects. If any of these properties is compromised, as a result of poor production practices, an essential oil cannot rightly be called therapeutic-grade. Ballard, C.G., O Brien, J.T., Reichelt, K., Perry, E.K. (2002). Aromatherapy as a safe and effective treatment for the management of agitation in severe dementia: the results of a double-blind, placebo-controlled trial with Melissa. Journal of Clinical Psychiatry, 63, 553- 8.